As the activity in the S&P market has subsided on account of the summer lull, it’s a perfect time for ship owners to contemplate on future deals and plan ahead. In a recent report, shipbroker Intermodal said that “the dry bulk market activity over the past four weeks has remained stable when compared to the previous months. There are concerns with regards to the dry bulk rates, which were stable and sometimes softening along with a considerable decrease of the volume on SnP transactions”. According to Intermodal’s, Giannis Andritsopoulos, SnP Broker, “the Handy market was soft and there were no positive signs, due to the fact that asset prices were at low levels until the Easter holidays. Following Easter, we saw that values started to increase from that time until Posidonia with aggressive buyers being firm to purchase vessels. When the “ex-CIELO DI TOKYO” (37,296 dwt-blt ’08, Japan) was sold in May a correction on prices followed. Hence, as is normal, this changed the position of buyers from firm to one of monitoring and waiting on how the market will perform”. He added that “regarding Supras, there are still the usual suspects who noticeably purchased vessels during the past year and remain firm to continue purchasing. 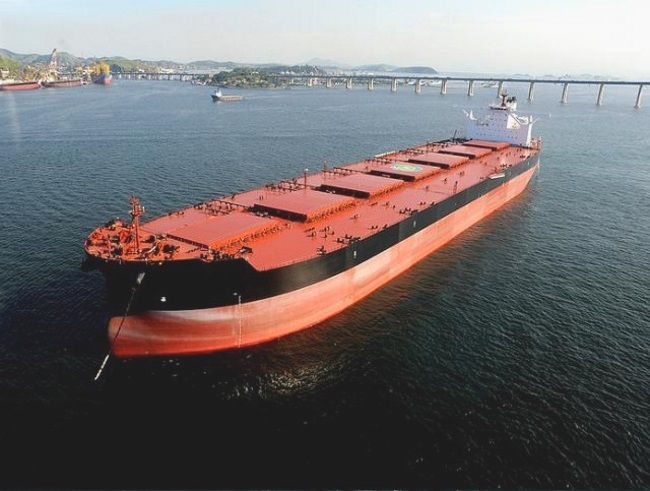 The values of the previous months, until the sale of the “FORTUNE UNITY” (53,472 dwt-blt ‘06, Japan), which was sold for $10.5m were stable in the aforementioned levels and had a downward trend for Japanese tonnage. However, last week we saw the vessel of Doun Kissen “NAVIOS ARMONIA” (55,522 dwt-blt ’08, Japan), being committed for $14.2m. On the other hand, Chinese Supras with the price difference from Japanese Supras (around 30%) attracted Supra buyers and the last three weeks there has been strong interest from Chinese buyers who are interested in Tier II Supras for import”, Andritsopoulos said. “With the recently introduced regulations in regards to the Chinese flag, the SnP market has a mixed picture of the past 4 weeks, and the consequent change of plans for sellers that own a vessel built between 2001-2003 and as well as for Chinese buyers who are now focusing on Tier II vessels. As far as Panamaxes and Kamsarmaxes, we can spot limited interest in regards to modern vessels as well as in vessels being built between 2005–2007, despite there being numerous vessels for sale. For Chinese Kasmarmaxes, we witnessed big competition for the Toisa Kamsarmaxes, because of the attractive discount, which made even owners that were focusing on Japanese tonnage to reconsider and to take the chance of purchasing a cheap Chinese Kamsarmax”, Intermodal’s analyst noted. “Lastly, it is interesting to take a look at the tanker market, as despite an absence of strong competition, some interesting deals took place lately. We saw a VLCC with Japanese flag built ’04 being sold for $22.0m., an Aframax built ’08 being sold for $19.5m and during the last weeks there is a lot of interest in MRs with the majority of the buyers being Greek.The stable asset prices together with the increase on wet tonnage will most probably lead to interesting opportunities into second-hand tonnage”, he concluded.